Anyone who enters a child into such a contest would face up to two years in prison. FRANCE’S SENATE HAS voted to ban beauty pageants for children under 16, in an effort to protect girls from being sexualised too early. Such beauty pageants, involving girls of all ages often heavily made up and dressed up, regularly elicit public debate in France and elsewhere. Such pageants are not as common in France as in the United States. “The foundations of equal rights are threatened by the hyper-sexualisation that touches children … between 6 and 12 years old,” said conservative lawmaker Chantal Jouanno, who authored the amendment. It doesn’t specify what kind of competitions would be covered, including whether it would extend to online photo competitions or pretty baby contests. It would apply to parents or others who enter children in such contests — but also anyone “who encourages or tolerates children’s access to these competitions”. The amendment says it’s aimed at protecting children from danger and being prematurely forced into roles of seduction that harm their development. Michel Le Parmentier, who says he has been organising “mini-Miss” pageants in France since 1989, said he’s disappointed that the draft law involves an overall ban. He said that he has been in discussions with legislators about regulating such pageants but wasn’t expecting such sweeping language. The senators debated whether to come up with a softer measure limiting such pageants, but in the end decided on an overall ban. 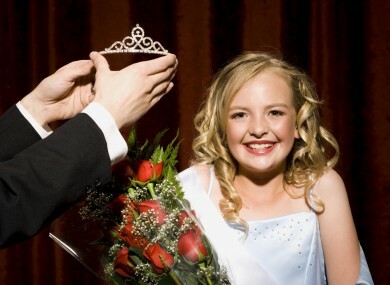 Email “French Senate votes to ban child beauty pageants”. Feedback on “French Senate votes to ban child beauty pageants”.